After taking over the bakery six years ago, Terra Cotta Food Ltd. president and owner Jason Brass has transformed the Georgetown, Ont.-based company from only being a supplier of cookie products to schools and clubs for fundraising, to a legitimate bakery concern heavily involved in the world of Canadian baked goods manufacturing. Everybody loves cookies. 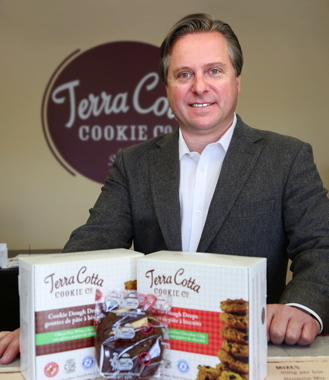 And some, like Jason Brass, president and owner of Terra Cotta Food Ltd. in Georgetown, Ont., seem to love cookies so much that he had to buy a company. Founded in 1984 by Pat Coe as Terra Cotta Cookies, the company used to simply bake and sell cookies to schools to raise funds. It was a profitable business that grew from one school customer to a couple of thousand, but by 2012 Coe wanted to retire. Since purchasing the business, Brass says he is proud he has been able to grow the employee base from 12 to 42 local-area people, as well as outgrowing the original facility and soon to undergo its third expansion in just six years. After outgrowing the new location as well, the company moved into its current 24,000-square-foot digs in the autumn of 2015. “And we are currently in the process of expanding our footprint even further, as we look to take over the unit next door,” Brass says. 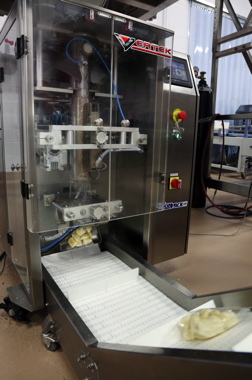 A VerTek Junior vertical form-fill-seal bagging system built by WeighPack Systems, a division of Paxiom Group, delicately packs bags of shortbread cookies at a rate of 45 packs per minute at Terra Cotta Food. With the new unit the company plans to use the newly gained space for more production and packing operations. 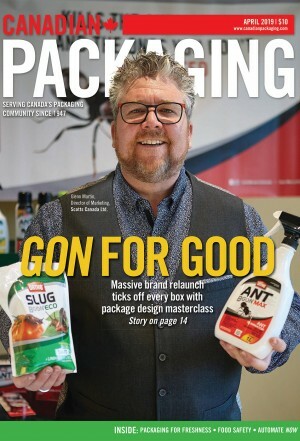 Terra Cotta has enjoyed 32 per cent annual growth over the past six years, “And this year it could be 100 percent, thanks to a significant product launch for a major Canadian retailer,” he states. Before he purchased the bakery, the company’s exclusive reliance on schools for customers forced Terra Cotta to close its doors for March Break, and during school summer vacation. “I initially thought about growing our brand by moving into the retail segment,” Brass recalls, adding that he spent the first year further examining the company’s foundation. 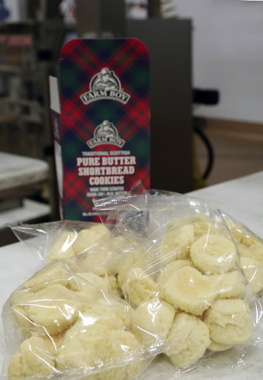 Part of the WeighPack Systems solution, shortbread cookies move up a stainless-steel, sanitary-designed vertical conveyor to deposit the baked goodness gently onto a WeighPack PrimoCombi multihead weigher. While the company did produce gluten-free products, it lacked the proper certification, so Brass went through all the required hoops to gain both the HACCP (Hazard Analysis and Critical Control Points)- and SQF (Safe Quality Food Institute)-certified status, as well as gluten-free and Kosher-certified credentials. It was only then that he tried his hand at taking the Terra Cotta brand to retailers. “After I began to pitch the brand to smaller retailers, they would instead ask me if I could make cookies for them in their name.” he recalls. “That’s when I realized there was a significant demand for the private-label market. “So I set out to diversify the way we packaged and sold our product in a manner that ensured that if one sector suffered trouble, the others could compensate,” he explains. 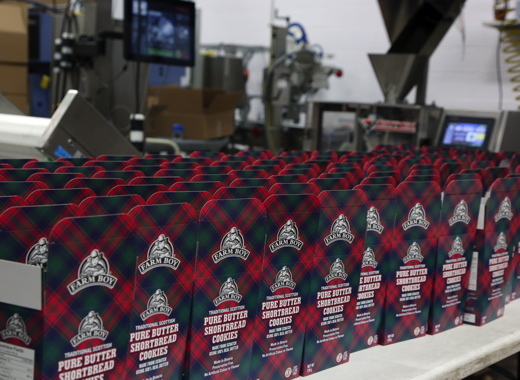 An array of paperboard packaging printed by the Mississauga.-based Beneco Packaging, whom Terra Cotta president Jason Brass calls his best supplier for their ability to accommodate the bakery’s schedule. Soon enough, Terra Cotta Cookies became increasingly involved in the private-label segment of the industry, as well as in co-packing. Brass says that approximately 30 percent of Terra Cotta’s business is now derived from the sale of its tasty gluten-free cookies. A sample of the fine plastic film bagging expertly performed by the WeighPack VerTek Junior bagger before it is handpacked by Terra Cotta staff into paperboard cartons printed by Beneco Packaging. “We offer our products coast-to-coast,” says Brass noting that Terra Cotta decided early on to focus on the domestic market exclusively. Brass explains that for companies like his, one has to have the right suppliers and production line equipment in place. Commenting on Beneco Packaging of Mississauga, Ont., who supply the bakery with its retail paperboard boxes, Brass was effusive in his praise. “Beneco Packaging is my single-best supplier because they bend over backwards to get things for us on time. “They will even store the packaging for us until we need it,” he says. Brass also notes that having excellent equipment allows Terra Cotta to gain more customers. Up until 2015, Terra Cotta only utilized a single flowwrapper to individually wrap its cookies, followed by a lot of labor-intensive manual hand-packing. 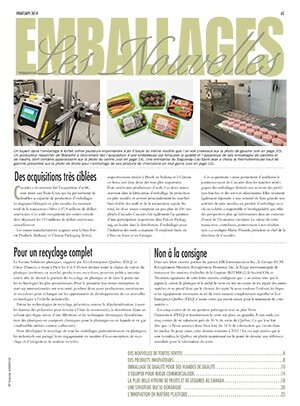 “Terra Cotta now has a wide range of packaging options for our private label and co-pack customers, such as frozen foodservice dough in cases; bulk cookies; frozen clamshell packed cookies for the bakery sections; flowwrapped individual cookies; bag-in-box; and some flexible packaging as well for the more shelfstable cookies,” he relates. Brass says he changed the name of the bakery two years ago to Terra Cotta Foods to better reflect the products it produces and markets. “We do more than just cookies nowadays,” he states. 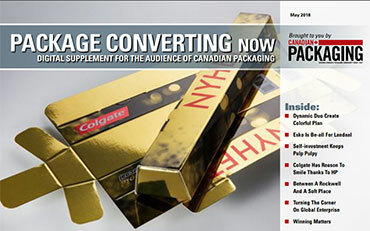 Brass says that WeighPack Systems, part of the Paxiom Group, has been one of its key partners in helping it take things to the next level with private label and co-packing capabilities via Terra Cotta’s new flexible packaging and bag-in-box packaging options. To that end, the bakery purchased a 10-head PrimoCombi automatic weigher, a VerTek Junior vertical form-fill-seal bagging machine, and an incline infeed conveyor system. 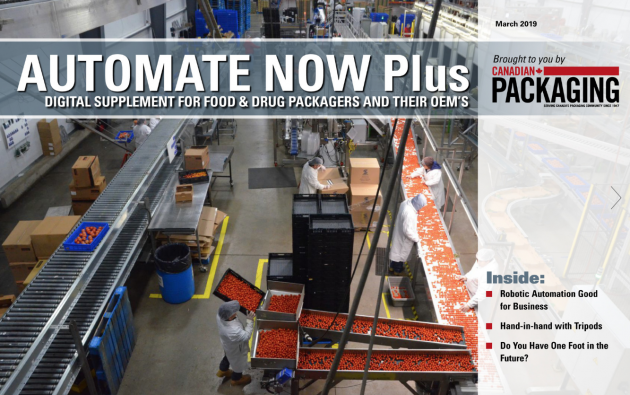 According to Paxiom Group vice-president Nicholas Taraborelli, “The complete automated system to conveyor, weigh and fill cookies into pouches starts with WeighPack’s stainless-steel sanitary-designed incline infeed conveyor, our PrimoCombi multihead weigher, and the VerTek vertical form-fill-seal machine. 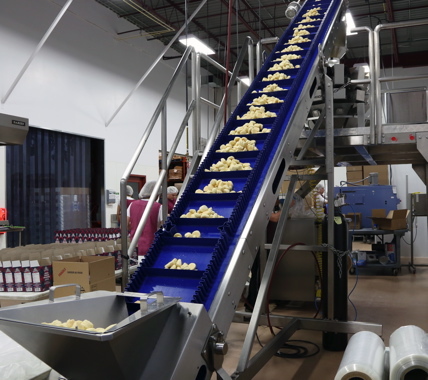 Because shortbread cookies crumble easily from over handling, the 10-head PrimoCombi automatic weighing system, designed and manufactured by WeighPack Systems, weighs product to within a single gram of tolerance before gently sliding it down a special-designed angled chute to create a softer landing spot for the cookies in the bagger below. As Taraborelli explains, “The process begins with the incline infeed conveyor gently transferring product from ground level to the PrimoCombi for automatic weighing. “The PrimoCombi combination weigher accurately weighs within one gram of tolerance and then dispenses to the VerTek vertical form-fill-seal machine,” Taraborelli continues. “The VerTek, using flat rollstock film, then forms a pillow pouch, fills and seals the finished pouch with these delicious cookies,” states Taraborelli. 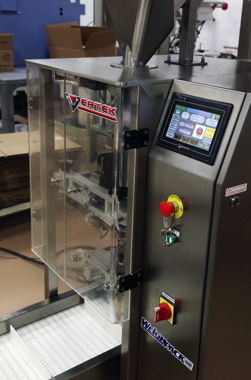 The WeighPack VerTek Junior bagger at Terra Cotta Food is placed off-center from the PrimoCombi weigher with an angled slide to ensure a gentle drop of cookie products. Despite the obvious advantages of automating Terra Cotta’s production line, Brass says choosing a packaging system was a bit of a process. “The WeighPack purchase was quite the big deal for us, and wasn’t something I was taking lightly,” Brass explains. 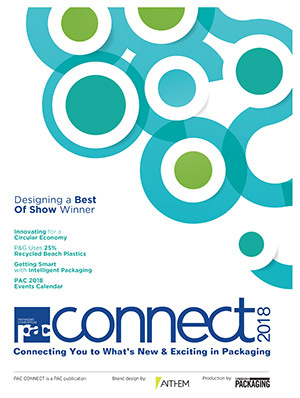 “We knew that WeighPack Systems equipment had a great reputation in the industry for being robust,” he says. “The WeighPack option removes the scary downtime scenario, and provides me with a more effective way of recouping my ROI (return-on-investment). The PrimoCombi automatic weigher provides computer-programmed accuracy of product weight. While it seems like a no-brainer to purchase equipment that can simplify production line efficiencies, Brass did have concerns in respect to product handling. “Cookies crumble, and shortbread cookies crumble even more, due to jostling,” mentions Brass. When the cookies enter the weigher and are dispensed in accurate amounts down into the VerTek Junior bagger, there could have been considerable damage to the product, says Brass citing basic physics. 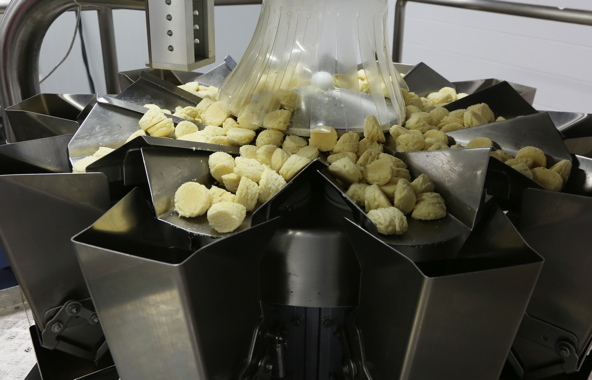 Rather than the PrimoCombi weigher releasing the cookies—shortbread cookies were used during testing—straight down into the VerTek Junior bagger, WeighPack added a chute, positioned at an angle, to create a softer landing for the cookies. In fact, the VerTek Junior is actually placed a fair bit off-center—rather than its usual spot of directly under the PrimoCombi—to ensure the product slides, rather than drops into the bag. “They also added a plastic flap with fingers at the top of the downward slope to slow the descent of the cookie to further prevent damage,” raves Brass. “As well, the WeighPack Systems’ incline infeed conveyor that takes the product up to the PrimoCombi only has to drop it a short distance onto a platform, before it moves down to the weigh filler bucket heads. “All in all, it’s a very gentle system,” Brass acknowledges. The easy-to-operate WeighPack Primo360 operating system provides Terra Cotta with up-to-the-minute reports on productivity, yield analysis and other key process indicators on the PrimoCombi weighing solution. According to Brass, Terra Cotta runs the WeighPack VerTek Junior vertical bagging system at a comfortable rate of about 45 bags per minute, although it can go faster when needed. Moreover the VerTek Junior is able to work with bag widths from as small as one inch up to five inches, and it creates a superb seal for laminated films. “The VerTek Junior and the PrimoCombi units are controlled by a computer that is very user-friendly,” says Brass. The servo-driven VerTek Junior provides PLC (programmable logic controller)-based touchscreen controls, offers a large memory storage for recipes, and is made of a robust stainless-steel construction. “The entire WeighPack automation system has eliminated a labor bottleneck for us,” extols Brass, adding that working with WeighPack and its people made his decision to purchase a second flowwrapper—a WeighPack SleekWrapper 40—a much easier decision. Scheduled to be installed at the facility in June, the SleekWrappper 40 flowwrapper will individually wrap cookies of various sizes, and will help the company accommodate the growing demand for its cookies. Terra Cotta Food has been so impressed by the ease-of-use and robustness of its other WeighPack System machines, that it recently purchased a SleekWrapper 40 flowwrapping unit to better help the bakery accommodate its growing production volumes. “The SleekWrapper 40 automatic flowwrapper is the most compact high performance flowwrapper on the market today,” says Paxiom Group territory manager Mark McGlogan. The feeling is mutual, as Brass has been very impressed by WeighPack’s eye for superior customer service. “WeighPack has been very good with their service,” Brass states. “Their phone support has been great. “For a company like ours, constantly growing, they are on the phone with us for any issue we have, walking us through things step-by-step. “And, should it be required, they will also come out and see us to resolve any issue we might have,” relates Brass. To see a video on the WeighPack Systems’ PrimoCombi weigher, VerTek Junior bagger, and conveyor, please go to Canadian Packaging TV by clicking HERE.